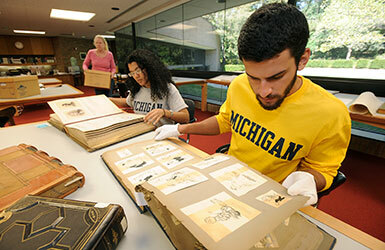 The Bentley Historical Library welcomes you to explore and engage with our vast collections. The Library is open without fee to the public, and we welcome researchers regardless of academic or professional affiliation. From US 23: Exit at Geddes Avenue; proceed west on Geddes Avenue. Go straight through the light at the intersection of Geddes and Huron Parkway. Geddes Avenue becomes Fuller Road at this intersection. Continue on Fuller Road. Immediately after the third light, which is at Glazier Way and the V.A. parking structure, turn right onto Beal Avenue. 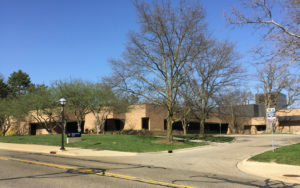 The Bentley Historical Library is the second building on the right, after the Gerald Ford Presidential Library. The library is located on the University of Michigan’s North Campus. Free parking is available on the south side of the building, with a permit provided at the time of your visit. The Bentley Historical Library Reference staff offers general assistance in person, by phone, and by email. Ask An Archivist – this online form can be sent to Reference staff with your questions about our library, collections, duplication policies, or copyright information.